The slender silhouette of the system is underlined by the tapered side profiles. The retrofit multifunctional plate of the friendlyway waiter 17 allows you to install additional hardware components, even afterwards. Thanks to the optionally integrable heating system, the system can be retrofitted for use in weather-protected outdoor areas. The friendlyway waiter 17 is a timeless all-rounder that can easily adapt to all everyday requirements. 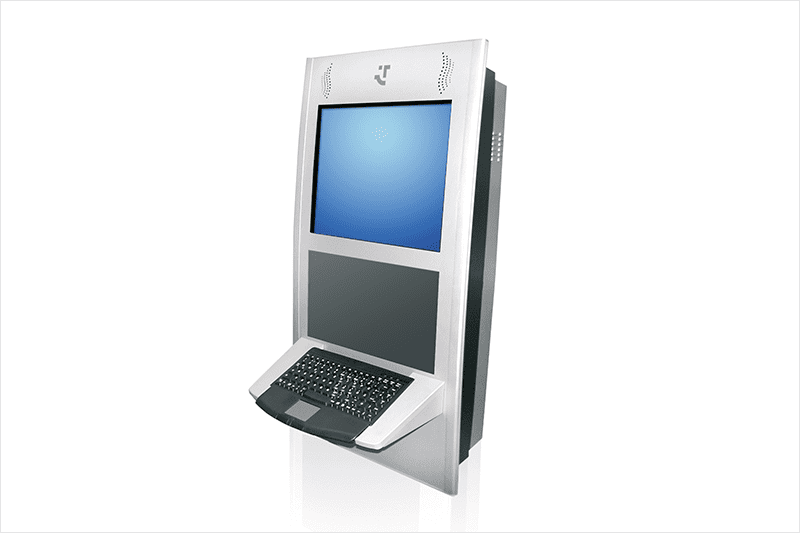 As a virtual receptionist, the system finds application in foyers and entrance areas thanks to the integrated telephone option and the built-in display. Order and payment processing is carried out independently by the customer via the system. Output of company-internal information to employees. Expressing coupons and vouchers for customers.